Yes, that’s my Max, and if you look carefully, you can see me and the green of the paddock reflected in it. Many thanks for your visit. My, What Big Brown Eyes You Have…. 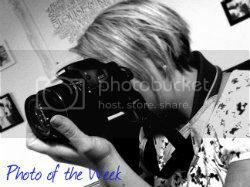 Thanks Louise for hosting Photo of the Week and for your comment. Not a popular post, I’m afraid. Will have to think again next week! Don’t worry, it wasn’t a good choice of photos. Have a better one for this week! Thanks for the comment. Yes, maybe a little too close up for some! 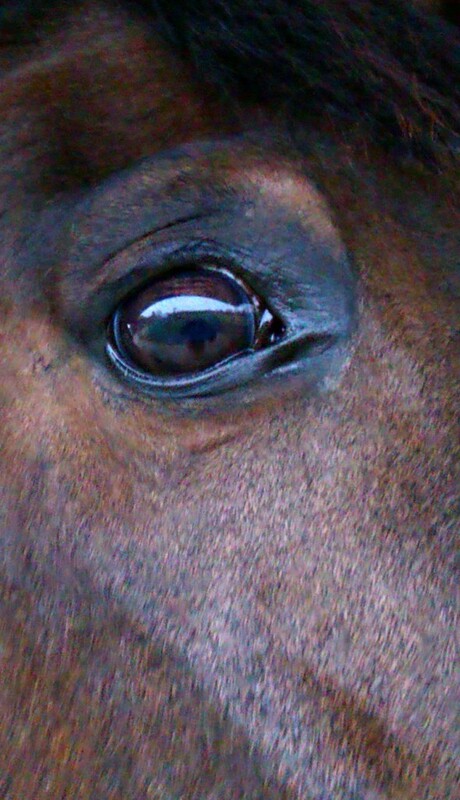 If you look carefully, you can see me and his field in his eye! Thanks very much for dropping by. So trusting. He’s such a human orientated chap!